A couple of days ago I wrote a post about technology I’ve been using to help me write. Today I thought I’d share my technological research tools. There may be something here you haven’t come across – or perhaps you’ve a great suggestion you’d like to share! This year I’ve found myself using eBooks as well as print books for research. I rarely use my clunky old Kindle – but do use the wonderful Kindle app for the iPad. This sits on your iPad desktop like any other app but allows you to read Kindle eBooks. I’m currently writing stories set in the late 18th-early 19th centuries, and on the Kindle store I’ve found lots of free literature written during this period. I lucked upon the 1811 Dictionary of the Vulgar Tongue. It’s full of familiar words that have changed meaning over the years, as well as words that have disappeared. It’s like time-travelling, only through language. Classic books are all there. In fact any classic that’s out of copyright is likely to be on the Kindle store. This means I don’t have to keep my bookcases cluttered with paperback classics. My only warning here is that many of the free Kindle eBooks are poorly-formatted. At least with freebies you haven’t spent any money. Another iPad app I use for research is the British Library Historical Collection. It’s a portal to their historical collection. There’s a lot there within my own niche area of interest that I can’t access at my local, the State Library of Victoria. And as it’s curated by librarians, the collection can be searched in a variety of ways. Even browsing is a lot of fun – perfect for inspiration. Robert Fortune’s Two visits to the Tea countries of China and the British Tea Plantations in the Himalaya recently caught my fancy. Although The History of a Lump of Chalk by Alexander Watt sounds good too! Nothing beats visiting the place in which you’re setting your story. If you can’t do that, there’s always Google maps. And major libraries have been busy digitising their collections – particularly useful for accessing maps, photographs – any sort illustrative material. This means I don’t have to visit the library in person. I can sit at home and view and print the material I need. I discovered the Alma Collection at the State Library of Victoria in this way. It’s material collected by Will Alma on the history of magic and magicians in Melbourne. There are hundreds of wonderfully atmospheric photos and posters. If you’re like me and want to know what other publishers and authors are producing, there’s nothing like a spot of market research. Having lost 20% of bookstores in Australia in recent times, I’ve been backing up my bookstore research with online research. On Amazon, you can search your region as well as new releases from the last 30 or 90 days. However, given Amazon’s less-than-generous terms for most publishers outside the US, this is probably not a representative sample for Australian publishing. The Apple iBookstore is growing, and there is strong representation from Australian publishers. On the iBookstore you can download samples of every title for free. Unfortunately this doesn’t always give you a good indication of the title. With picture books in particular, I’ve found you can end up with a cover, the usual preliminary material, then straight to the ‘buy this book’ button. So not always a helpful guide. I should mention you do need an iPad or iPhone to access iBookstore. I always find it’s a good idea to keep an eye on what particular publishing companies are publishing. These are companies who release similar material to what I write. On their websites, most book publishers have subscription-based e-newsletters where they’ll periodically announce their latest releases. If you ignore the spin, these can be useful for market research. I haven’t signed up for it so can’t really comment – but I’ve heard Netgalley is a good way of seeing what publishers and authors are up to. So that’s it for the technology I find useful for writing. If you’ve any suggestions for research tools, as usual I’d love to hear them! Today’s guest blogger, author Richard Blackburn, writes about the difficulties and pleasures of researching the historical settings for his books. He also includes some fascinating tidbits about medieval life! I must admit, first up, that I hate being wrong. Many readers of fiction are quite happy if the setting is vague or some things obviously incorrect – such as showing Henry VIII throwing half-gnawed chicken bones over his shoulder or Vikings wearing helmets with horns sticking out of them. These are commonly-held myths but I couldn’t stand having them in my work. Trying to get things right isn’t always easy. My three books often feature peasants living in the years 1347–1356. There are lots of paintings, books and biographies about lords and ladies, Kings and Queens – but not much about peasants. I believe some of the traces that do exist are misinterpreted. One historian discussing Brugel’s paintings stated that they must have represented a time of unrest – the men all had sheathed knives on their belts. At the time knives weren’t laid out at the table in poor people’s homes. Everyone used their own at meal time. These knives would be used every day by peasants as they worked the land. They’d cut honeysuckle vine to make string or rope, if fences needed mending and so on. So knives were a part of their everyday dress. Russell advised his readers: don’t blow your nose on the table cloth … Don’t spit too far away … but WHEN you DO spit, place your hand to the side of your mouth and spit neatly to the side of your chair. I’ve found some good sources – at high school I studied Chaucer in the vernacular as well as Shakespeare. These are worth reading for some understanding of the lives of the lower classes. There are also a thousand letters from or about members of the Pastern family who lived in the early 1400s. They wrote about their day-to-day existence as middle class, and somewhat privileged, citizens but they also include a lot of interesting facts about the unrest of the time. One fascinating short piece was written by John Russell, a servant in the middle 1400s. His words were printed in the late 1500s by Wynkyn de Worde in a booklet called The Boke of Keruynge (The Book of Carving). As well as showing things such as how the three table cloths were arranged on each table, he gives us good advice on manners. He tells his readers not to spit over the table cloth or onto it. He says definitely don’t blow your nose on the table cloth. And when the water is brought around to wash your hands, you shouldn’t spit into that. Don’t spit too far away, he says, but WHEN you DO spit, place your hand to the side of your mouth and spit neatly to the side of your chair. With at least fifty people eating at the castle where he worked, I wouldn’t have liked cleaning the floor after a meal! I’ve also read a translation of Froissart’s Chronicles. This is a French nobleman’s account of the early part of the 100 Years War. That brings me to another important point: histories are the writings of people who see history from their own country’s perspective. The enemy’s treacherous and murderous assaults would be our brilliant, innovative campaigns. So be very wary of the internet and cross reference everything, but also read extensively around even our most respected historians. Treat nothing as absolute. Histories are the writings of people who see history from their own country’s perspective. There are very useful sources of information from the writings of the times I write about. I can also gain an idea of how people spoke in those times from these texts. Of course, I couldn’t have the peasants in my books speaking in Medieval English. That would be too hard to read. But I also mustn’t include phrases or concepts they wouldn’t use. In 1347 I couldn’t have a peasant say something went off ‘half cocked’ or that someone was ‘a flash in the pan’. These sayings come from the use of gunpowder in muskets which was a long time later. Before 1496 the word ‘lynch’ wouldn’t have been used for stringing some luckless person up by the neck. On that year an Irish mayor, John Lynch, hanged his son without a trial and the word was born with his son’s death. The word ‘posh’ comes from Port Out, Starboard Home when well-heeled English families sailed to India in the coolest cabins. Talking about India, the word ‘thug’ came from a brutal Indian religious group discovered in the late 1700s. And my characters couldn’t ‘fall asleep’. This saying came from stagecoach days, when the poorer passengers, sitting on the roof, would doze off and actually fall off. So the cry would go up, ‘he’s fallen, asleep’. The same for ‘dropped off’. As well as sayings becoming dated, the food people ate reflects the times. At the table where John Russell was serving, only the highest level of society would eat manchet bread, the white bread made from fine flour sifted through boulting cloth. They wouldn’t have eaten potatoes, tomatoes, green beans, chillies or corn. These came to Europe from South America in 1536. Pumpkins came from North America. But in the Pastern Letters, Margaret Paston asks her husband to send her rice, saffron and galangal. So rich people did eat some very exotic food. By reading works written in the time of my stories, looking at pictures from those times, and examining the period for anything that would stand out as different from life today, I hope to make my work interesting and informative … as well as fun to read. Richard’s three books are published in Australia by Zeus Publications. 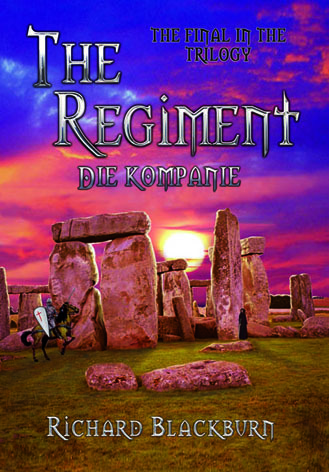 They are The Gatekeeper, Rudigor’s Revenge and The Regiment; die Kompanie. All have now been accepted for the New South Wales Premier’s Reading Challenge. The first book has also been published as The Guardian of the Gate by Lachesis Publishing. It’s available in paperback format in USA and Canada and also in eBook format by all major eBook outlets. Click here to visit Richard’s website and find out more about Richard and his books. Today I’m posting a guest blog from YA historical fiction author, Richard Blackburn. Richard shares his remedies for mistakes that novice writers often make. There are a few common mistakes that writers make without ever knowing they are wrong. I know. I used to do all of them until my editor at Lachesis (a Canadian publisher) refused to allow them in my book. This was a shock because I was already published in Australia! I realized that my previous submissions to major publishers could have been rejected because of these mistakes. Since then I’ve passed on this information to scores of writers. I hope they help readers of this blog. An adverb is a word that, among other things, qualifies or describes a verb. “I ran fast” is an example. Ran is the verb, fast is the adverb. A dialogue-tag is a verb that links a piece of dialogue to the rest of the writing. “You absolute idiots,” Andrew shouted angrily. ‘Andrew stormed into the room and looked around angrily. In the 1930s there was a book published called The Said Book. This gave writers a huge number of verbs to use instead of the word said. These days publishers prefer writers to keep it simple and use said. A major mistake is to use verbs that don’t have anything to do with uttering sounds. You cannot sigh words. It’s the same with roar, squeak, growl and hiss. In this way I can have a long section of dialogue, say between Jenny and Blind Bob, the peasant, and I’ll only have to use “Jenny said” and “Bob said” for the first two sentences then it’s obvious who is speaking and I don’t have to use a dialogue tag at all. If you’re interested in reading further about ‘said’ bookisms, try Uncle Orson’s Writing Class (by Orson Scott Card). When you write in the limited third person, it is important that you keep everything in that person’s POV and not switch around. Say I’m writing in Jenny’s point of view. I can say what Jenny does and says, and also what she thinks and feels. I can say what anyone else does and says but not what they think or feel. Here I’m hopping from Jenny’s head into John’s. I could say that he looked horrified, that he was obviously horrified, or have him say that he is horrified. But I can’t say what he feels, because I am writing from Jenny’s perspective. I should not have included she saw. This is called filtering. It is unnecessary and removes immediacy between the POV and the action. Orson Scott Card’s book, Characters and Viewpoint, has a visual description of the different types of third-person perspective (pp. 163-169 in the 1988 edn, Writers’ Digest Books). Have you made these mistakes in your writing? Are there other craft errors that your writing group members have alerted you to? I’m curious to know. I know I was taught to put ‘interesting’ adverbs in my stories when I was at secondary school. Richard is Zeus Publication’s bestselling author. He has written a historical fiction trilogy: The Gatekeeper, Rudigor’s Revenge (both listed in the NSW Premier’s Reading Challenge) and The Regiment. Richard lives in Queensland and travels extensively to do book signings. Click here to visit Richard’s website. I recently chatted to author Richard Blackburn about book signings. The conventional wisdom is, unless you’re a bestselling author, don’t do them. Contrary to this, Richard does well with signings. He sent me this piece with his suggestions. Here’s what Richard has to say about book signings. I usually have six signings per month. Having written a trilogy this is very important. People coming back to buy the second and third book is the best proof that my books are being enjoyed. The reason I was moved to write on this subject is that I’ve seen authors sitting at tables with piles of their books in front of them … and nobody to talk to. They look like losers. They look self conscious. They don’t look worth a second glance unless out of pity. I give a big smile and say, ‘this is my first book’. I sell an average of 20 books each signing and I believe there are a number of reasons for this. When’s the best time for a book signing? I usually sign on Thursdays (for the late night shopping) or Saturdays. Managers of the stores I visit confirm that these are the best days. Otherwise I sign during school holidays or just before Mothers’ Day and important occasions like that. I ask the manager about possible problems. I once made a mistake of being at Mt Ommaney store on the Saturday of the Amberly Airforce Base’s annual show. The shopping mall was deserted. What’s the best way to promote the signing? I email the newspapers in the area of the signing a couple of weeks in advance. People who have bought the first book will make a special trip to buy a signed copy of the second one. I like to arrive at the store early, so I have time to set up. My genre is Historical Fiction so I have a suitable cloth for the table – rich blue velvet. On this I place my chain-mail vest and Norman helmet. My books’ covers are distinctive so I have a couple of big plastic posters of the cover art, one to face each way the shoppers are walking. So people will see me well in advance and have a good idea of my books’ genre. That means people not interested will just walk past. I’m happy with that. I like to have a high strike rate when people stop to talk to me. That means they are almost converted! I always stand up. I look at the passing shoppers in the eye and smile. I say ‘Good Day’ and watch for signs of interest. Some people walk straight up and ask what the book is about. I have a well-rehearsed, 1.45 minute spiel to tantalize them. Others barely glance – I still smile. Some show a bit of interest. I give a big smile and tell them ‘this is my first book’. This usually brings them over. If people don’t come to hear about the book, there’s little chance they’ll buy it. I like to have a high strike rate when people stop to talk to me. Another ploy is best used when parents have collected students from school and are shopping on the way home. Youngsters look longingly at the helmet and I invite them to try it on. While they are marveling at the weight of the head gear and the amount of work in the chain mail, I explain to the parent what my book is about.I’ve had so many sales to kids who badger their parents for a copy. If they don’t have enough money for the purchase, I hand over a business card so the student can ask the school librarian to get the trilogy into the school library. I also take my copies of The Australian Writers’ MarketPlace and A Decent Proposal (by Rhonda Whitton and Sheila Hollingworth). Most signings I’m approached by a writer who wants to ask questions. These two books give them lots of ideas, such as where to find out about publishers and how to write a proposal when approaching them. I really like helping people because I made a lot of mistakes at first and wish someone had helped me out. I don’t think of other writers as competition. We are all striving to get Australian writing respected world wide. If you’re in the area, Richard will be giving a talk as part of Caboolture Library’s ‘Australia’s Biggest Morning Tea’ fundraiser. For a gold-coin donation you can help yourself to a platter of home-made sweets and treats and hear from Richard Blackburn. Richard will speak about the ups, downs and interesting facts about writing historical fiction. Caboolture Library Australia’s Biggest Morning Tea for Cancer Council Queensland will be held on Thursday May 27 from 10am–11am. To book or for more information, phone (07) 5433 2000. This is part 3 of my interview with author, Chrissie Michaels. Today she explains how she is promoting her new book, In Lonnie’s Shadow. Chrissie, how do you market yourself to teachers and librarians? Rachel at the Australian Education Union has just interviewed me for the teacher’s union newsletter and I recently did an interview with Judith at SLAV (School Library Association of Victoria) for their Bright Ideas blog. Will there be teachers’ notes for In Lonnie’s Shadow? There are teachers’ notes on Ford Street’s website and also on mine. I do plan to add more. I have put on an FAQ section on my site as there have been a few questions about which items from the dig are real or imagined. I should reinforce at this point that Lonnie is a work of historical fiction. Do you or you publisher have any plans to sell your book overseas? Paul Collins (publisher at Ford Street Publishing) has mentioned that it went to Bologna. We won’t know for a few months. Let’s keep our fingers crossed. I am a novice at this. I only set up the website over the summer holidays and haven’t got a domain name yet. Sophie Masson gave some good advice, which I took up about using the Google site. I wanted the focus to be on Lonnie and to make the book trailer more available. I also wanted it to be a focus for teachers. That’s why I am putting up some additional classroom activities. I have just included some work on the language in the novel, clarifying terms such as: duck shoving, on the wallaby etc. I guess I have made it more for teachers at this point. I am a real novice at this at the moment. I haven’t even faced Facebook or Twitter yet! Why did you do a book trailer? How did you decide what to do for it? Paul Collins suggested we have a book trailer. This was over the last summer holidays. Hopefully it provides an entry point for some to read Lonnie. My partner Michael produced the trailer. Between us we came up with the ideas for the script. It was a matter of what we could do and what we could work with. Michael is fabulous at using MovieMaker. We had some photos of Little Lon from my research. They feature buildings that appear in the novel which is set in Little Lon in 1891. There is the Leitrim where Daisy lives and the Governor, one of Pearl’s haunts. The Royal Exhibition Buildings, the fountain and the Carlton gardens are central to the illegal horse race through the streets. The knife relates to Slasher Jack; the bottles (the bottle for medicine or poison and the Glass and Bottle gang); the fob watch (the cause of some of Lonnie’s unhappiness); these all appear in the novel. The trapdoor and the traditonal nursery rhyme ‘Around the rick’ are also key links. The background music to the clip was a birthday present from my brother who plays the classical guitar and composed the piece,which he called Lonnie’s Lick. He says he is available to compose music for any other clips. My daughter and her boyfriend were most put out that their words weren’t used, as they spent at least an hour one afternoon rehearsing lines, as Lonnie and Pearl. My daughter does appear as Pearl though in the news clipping section of the clip! I don’t think I really live in the ‘real world’. That internal landscape keeps building fences. This is the first time I have been involved in any online promotions’ venture. There have been quite a few interviews for blogspots (such as yours) and we are all certainly grateful for the opportunity to talk about our books and writing. Networks are so important for writers. It can be quite isolating otherwise. But there has to be a balance. I do have a part-time teaching job at the local secondary school, three days a week, which is quite time consuming. Writing at home is relaxation time, done purely when I feel like doing it, which turns out to at least a few hours a day, mostly on my days off, and during weekends or holidays. I do have spells where I do more, especially when an idea is ripening or a deadline is due. I’m an avid reader with a love of literature and history. I have a curious (and at times, a troubling) mind. When I was 17 and in my first year at uni, where I was studying French, I was introduced to the French authors, Zola and Balzac. They still stay with me now. How would you describe your ‘brand’ as an author? I just consider myself a writer who is lucky enough to be published sometimes. Never send a handwritten manuscript. Accept any criticism as constructive advice. Always be polite – remember that the commissioning editor who refuses your manuscript today will probably move on to another publishing house and you may meet up again soon. The discovered artefacts from an archaeological dig in Melbourne become the backdrop for this story about a group of teenagers in 1891 who are struggling to make their way in a world that seems to be conspiring against them whichever way they turn. Lonnie McGuinness knows only one thing for sure – there doesn’t seem to be any fairness in life for him or his mates. So he decides to take matters into his own hands. But when does a favour turn into a crime? And when should a secret no longer be kept? 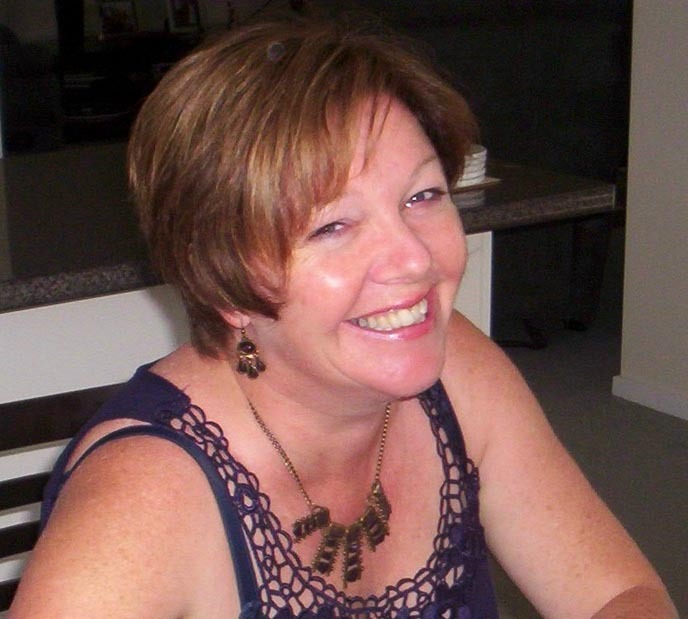 Chrissie’s published work includes junior fiction, poetry and short stories, as well as a series of primary school texts. In Lonnie’s Shadow is her debut YA novel and is published by Ford Street Publishing. She will appear at Melbourne’s Emerging Writers Festival, at 7 pm on Thursday 27 May 2010 at the Wheeler Centre, 176 Little Lonsdale Street, Melbourne. Click here to visit Chrissie’s website. Today, I’m talking with author Chrissie Michaels. Chrissie’s new historical fiction novel for young adults, In Lonnie’s Shadow, is published by Ford Street Publishing. Chrissie, can you tell me how you first came to be published? I started writing short stories as a hobby. I took a manuscript along to a workshop run by Bruce Pascoe who at the time was publishing a literary journal, called Australian Short Stories. Someone at the school I worked at knew him and organised his visit as part of a community arts project. This was in 1988, I remember, because my daughter was only a few weeks old and it was the first time I had actually ventured out after the birth. She came along too! After this a few of us got together and started a local writers’ group. Being with other writers can spur you on. From there I began entering competitions. Often when you are a prize-winner your work is published in an anthology. Luckily, I managed to win a few prizes, so saw some work go into print. Our writers’ group then started publishing some anthologies of their own and doing readings. A few years later I decided to do a professional writing course. It was there I started to write a novel. I recall telling one of my tutors that I was a short story writer, not a novelist. I just didn’t feel that I had a novel in me. She said, ‘Nonsense.’ I started kicking and screaming (figuratively, not literally) but she persevered. Within the year I had finished my first children’s novel and it was accepted for publication by Scholastic. I ended up teaching short story and a few other subjects at TAFE, so eventually my hobby became my work. In the end the story you send in has to stand alone. You’ve entered competitions and had lots of short pieces published. Was this part of a deliberate strategy to develop your career as a writer? It was all ad hoc in a way. I was lucky that in my early stages when I sent off work it seemed to be published. So I thought it was easy. Well, I have learnt a thing or too since then! I still think I write for the pleasure and the challenge, although I’ve never been shy about sending off manuscripts. And I still enter competitions, especially the local ones as they are so supportive of the community and it’s always an affirmation when someone likes a story or poem enough to award a prize or commendation. I am in the process now of judging the Kathryn Purnell Poetry Prize for the Society of Women Writers (Vic); this has been a very enjoyable task. I like to sponsor eager students as well. Last year one of my Year 10 students who really was struggling with his writing skills, did five drafts of a story. This was a mammoth effort on his part and when he took out the first prize for his age group I can’t tell you how delighted I was for him. Seeing him so happy and proud at the presentation ceremony was a fantastic feeling. You’ve written for three quite different audiences: children, teachers and adults. Do you go through phases where you’re just writing for one audience? I guess the fact I teach as well as write for children means I am a pretty child-centric sort of person. It’s true I always have a few projects going on together. At the moment I have a couple of adult novels in various draft stages that I visit every now and then. I have written some adult poetry recently. There are a few picture book texts and a chapter book for younger readers that are currently with publishers. I also am in negotiations with an educational publisher for a workbook, which is at the trial chapter stage. When I have a deadline to meet then I am usually ruthless about how I utilise the time. Everything else stops until it is completed. When I was revising Lonnie for Paul Collins at Ford Street, I would do long stints at a time. It is a matter of going into the necessary sphere for writing or editing, depending on the task at hand. Is there a particular audience you prefer writing for? Depends on my mood and the idea which comes to mind, although I do seem to write more for children. When I started In Lonnie’s Shadow I wasn’t sure whether I would write it for the adult general market or for young adults. The characters ended up defining the pathway, most particularly Lonnie and Pearl. Even so the novel does seem to fit into the crossover market. Did your background as a teacher help when you approached education publishers for writing work? For the teacher texts, yes, definitely. Some educational publishers are happy to put you on their file if you send in a sample of your writing and your style fits their purpose. It’s definitely worth checking out their websites and submission guidelines. Education markets are fairly prescriptive. They usually have a project in mind and you will be required to write to a tight set of guidelines. This may be for a series of readers that are targeted to a certain age group and are language specific. Textbooks very much require a teaching perspective as well as a direct knowledge of the related curriculum. The trade market is a hard nut to crack. The avenues for unsolicited material are becoming fewer and fewer, the slush piles seem higher and higher. I believe in being persistent. I keep checking publishing websites to see if and when they are open for submissions. It is important to present as professional a manuscript as you can to them. I’ve found most publishers respond genuinely to your submission. But it can take a long time before you receive a response. Did having a publication record help you when you approached Ford Street Publishing about your novel? I must say first of all that everyone at Ford Street Publishing has been fantastically supportive. I sent Lonnie in cold. At first, they returned the manuscript but gave me a detailed response. What they said made great sense and I could tell that they had clearly spent time reading the story. When they suggested I revise certain parts and they may give it a second look I quickly set to work. This is what I meant when I said earlier about the genuineness of some publishers. I wasn’t sure if they would consider it a second time, but they did and what’s more they accepted it. I guess it helped in the initial stage that I could send in an author CV with some writing credits. But in the end the story you send in has to stand alone. Tomorrow, Chrissie explains how she does historical research and how she plans to promote In Lonnie’s Shadow to schools.